Now and then, a movie will come along that makes people want to see even more of the story behind the characters and settings, and some intrepid young combination of producers and writers will turn it into a television series. Of course, it’s typically less successful than you might hope, and in most cases it becomes an all-out disaster. Here are some of the worst TV spinoffs of popular movies ever attempted. The Blade series is based on the Marvel comics, and thus is steeped in comic mythology and should have been ripe for a television spinoff of the relatively successful trilogy starring Wesley Snipes. Airing in 2006, Blade was actually created by acclaimed screenwriter David S. Goyer and took place directly after the action of Blade: Trinity. It aired on Spike, and lasted a whopping 12 episodes before quietly fading away. The worst part of this whole thing is that, initially, the series was set to head to Showtime with Snipes reprising his role in a graphic, violent adaptation, but when Snipes turned away from the project it went all to hell, leaving this mess in its wake. You may not remember the movie Private Benjamin, but rest assured your parents no doubt recall the Goldie Hawn vehicle about a prissy woman who joins the military. It was basically the female answer to Stripes, and amazingly, it lasted three seasons and 39 episodes. It actually had some of the same actors from the movie reprising their roles, most notably acclaimed comedy actress Eileen Brennan, who won an Emmy and a Golden Globe for her role in the series. That’s really not a bad haul for a television series that pretty much no one in the world remembers actually existed in the first place. No, we obviously aren’t talking about the current series starring Peter Krause and Kristen Bell’s husband whose name is, improbably enough, “Dax.” Instead, we’re talking about the first attempt at spinning Ron Howard’s film starring Steve Martin into a weekly series, which actually, amazingly featured the likes of David Arquette, Ed Begley, Jr., Thora Birch and, oh yeah, some kid named Leo DiCaprio. The series only ran for 12 episodes, despite USA Today calling the pilot the best movie adaptation since M*A*S*H first aired back in the 1970’s. By the way, another notable contributor to the show? Some guy named Joss Whedon was one of the writers. No wonder it didn’t last with such a lack of talent. 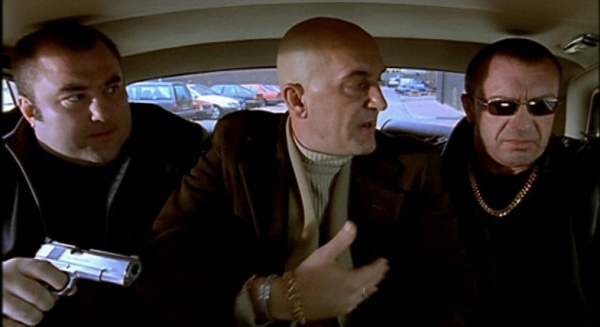 Lock, Stock, and Two Smoking Barrels is the movie that put Guy Ritchie on the map in the world of film. It was frenetic, hilarious, violent, and extremely stylish. In fact, it was so stylish that people have been attempting to capture the same sort of lighting in a bottle ever since, including Ritchie, who can’t seem to duplicate that success. Anyway, believe it or not, Lock, Stock spawned a short-lived series on Channel 4 in the UK, which lasted for only seven episodes. Now, television in the UK is different than in the states, as series tend to run a lot shorter, but that’s an awfully quick run for a series based on a wildly successful movie.